This whimsical little kitty is sure to steal your heart..
Meet "Fergy" a floppy, soft, huggable kitty that needs a new home! With her funny, whimsical personality, "Fergy" is sure to steal your heart! 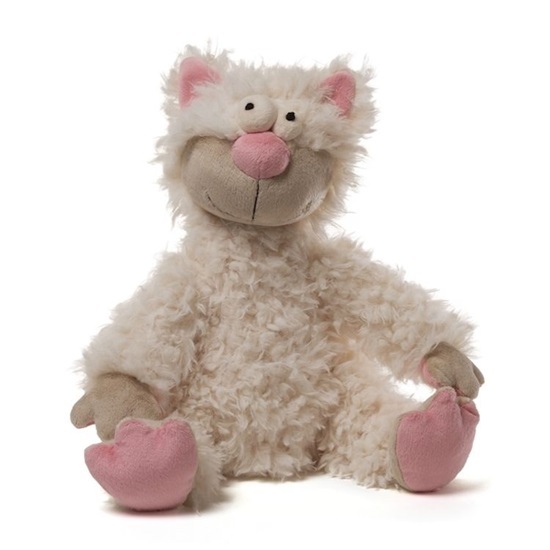 This is a 16-inch white shaggy plush cat, with pink lined plush ears, a tan plush face, a soft pink plush nose, and white sewn on pillow eyes. Her paws are a dark tan on the top, with pink plush on the bottoms. She also has a tan soft plush floppy tail.